Who is the legal counsel for the plaintiff? Why wouldn’t they have advised their client to for a start, get the land in question surveyed? Secondly, it seems that the judgement does not take into careful consideration an important fact, that the property was once swamp land and was reclaimed by the family over several years of hard work, by hand no doubt, without contractors or paid works. Perhaps also, plaintiff’s legal counsel could have provided photographic evidence of that area during the 1950s to the present, from archival material ie. any surveyor, aerial, historical footage, etc. to support this. Even a geological assessment or archaeological report of the reclamation would be permissible to support this argument, that land and value was added and that despite the inadmissible hearsay evidence of gifted tenure/ownership, the fact remains that realty was possessed, “legally” from a standpoint of beneficial ownership, but arguably also the plaintiff could rightfully claim seizing, or interest in land of a freehold estate, even if the land is technically owned by the sovereign. I’m not a lawyer, so I’m supposing this to be a point of argument and I expect to be corrected, but if this is the case, lets suppose then that the plaintiff has some rights under both customary law and the Westminster system of property law, to make a case. 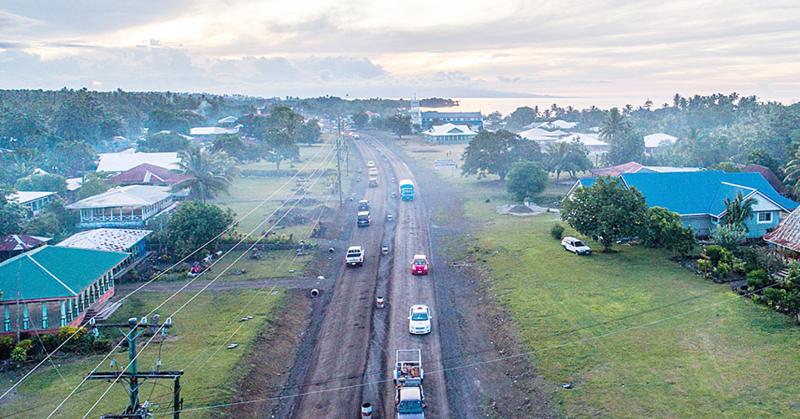 I think the judgment is harsh in light of the context of Samoa, where the law defines a system that is relatively recent in its colonial, Eurocentric logic of land ownership as opposed to an indigenous concept of land use and shared ownership.